Swiss-based autonomous mobility services platform developer Bestmile has formed a partnership with German transit planning, dispatching, telematics and ticketing systems supplier INIT to incorporate driverless vehicles into fully integrated public transport networks. With a variety of pilot projects currently in operation worldwide, Bestmile allows mobility providers to deploy, manage and optimize autonomous and human-driven vehicle fleets, supporting fixed-route and on-demand services, regardless of the vehicle brand or type. The company’s mobility platform allows operators to support multi-modal, multi-service offerings in a safe and efficient manner by integrating autonomous vehicles in the existing public transportation ecosystem. 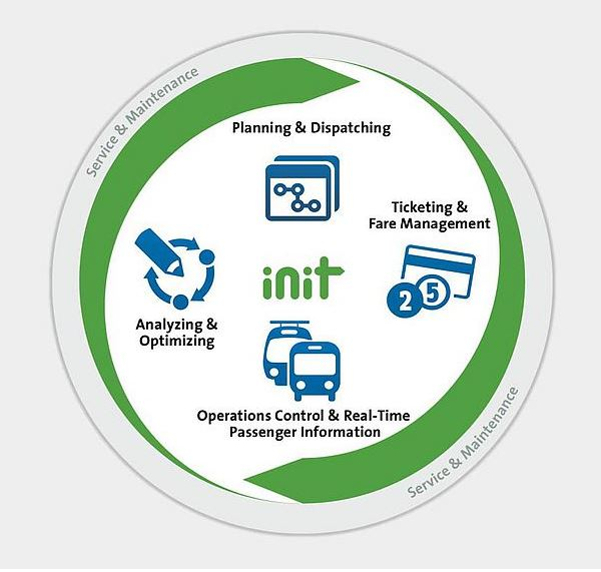 Bestmile’s new partner INIT is a leading global supplier of integrated ITS, planning, dispatching, and fare collection systems for buses and trains. Currently, more than 600 leading public transport providers and transit agencies worldwide rely on INIT’s MOBILE integrated telematics system to provide a seamless end-to-end platform that simplifies all operational processes, increases efficiency and improves service quality. The Bestmile – INIT partnership aims to incorporate driverless vehicles into new and existing public transport networks in order to provide fully integrated mobility solutions. The companies will collaborate closely to integrate their respective backend software platforms to offer turnkey solutions that allow public transportation operators to seamlessly connect autonomous mobility services with mass transit transportation networks. Bestmile offers the only mobility services cloud platform that has demonstrated the ability to manage autonomous vehicle-agnostic mobility services with multi-modal integration in public transit. With more than 35 years of experience, INIT has a unique understanding of public transit, with the crucial knowledge of integrating innovative mobility offering into a strong mass transit backbone. The partnership between Bestmile and INIT aims to offer smart transit providers service excellence while making mass transit the strong core of a cities’ mobility ecosystem. 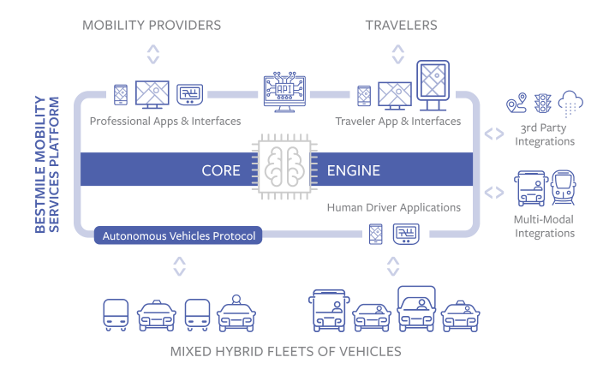 Together, the companies will develop mobility solutions for driverless vehicle fleets incorporated into traditional transportation systems, including the key components required in today’s modern public transport environments such as real-time traveler information systems, planning or ticketing. 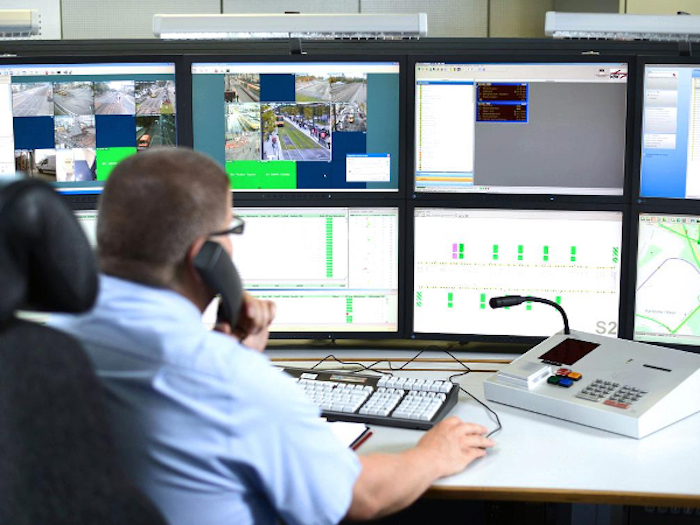 As a result, dispatchers in the control center will be able to track all transport services comfortably within one monitoring system, which is the only way to efficiently integrate first-mile / last-mile services into the core business of public transit agencies. Autonomous first and last-mile services that bring travelers to and from transit hubs have the potential to make public transit more convenient and accessible while boosting ridership and revenue, with minimal new infrastructure. The ability to integrate with public transit back-end systems to synchronize schedules and optimize service performance is key. Service providers can also cost-effectively reach new service areas that may not be suitable for larger vehicle transportation.